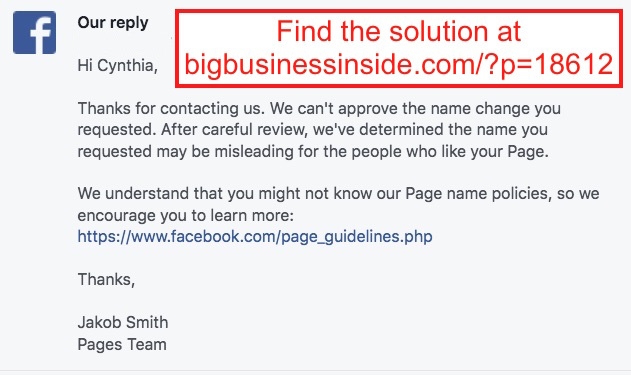 If you have tried to change the name of your Facebook page and it was denied there are a few ways you can successfully change the name. 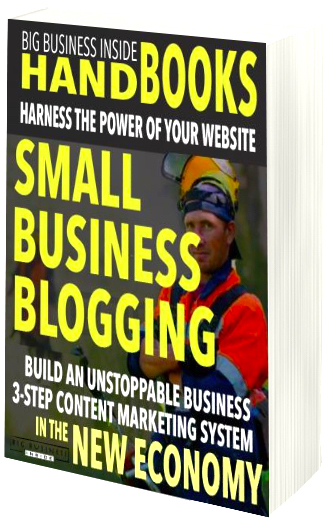 Now that you have gone though the time and expense to build a following on Facebook you don’t want to lose them just because you have changed the name of your business. The simplest thing to do is to request an appeal. However, often this will NOT work. The reviewing team will likely request you provide them with support documentation which proves you have changed the name of your business. Whether you have a registered business or not you may just want to change your Facebook Page name for SEO or other reasons. In this case your registered business name won’t match the Facebook page name you want. This is a step method and may take a week to do, but it works. For this example let’s assume you have an electrical company and want to expand into a full service construction company. Your old company name was “Fred’s Electrical” and the new company name is “Fred & Betty’s Construction”. For SEO purposes you want to name your Facebook page “Hartford New Home Construction”. This name change would likely be disapproved. Even on an appeal with proof of business – your business name won’t match your Facebook page name. Here’s what you do: Change only ONE word at a time. There is a wait period each time you change the name. Sometimes up to 3 full days, most often you can put in another name change in 24 hours. You can try to do it faster and change more words if you’d like but the chances of being rejected are greater. This is awesome, thanks! Does this still work in 2018? I just used this in January and haven’t heard from anyone saying it doesn’t work anymore. Just be patient with it and change one word at a time. Please come back and let me know how you made out! I just found this article after already submitting a change. They denied it. Now i want to use this method. Do I just wait or appeal? Hi Sarah, I don’t know what you mean by wait? Did they tell you to wait for something specific? It depends but it can be 24 hours or 3 or more days. I have heard before that it was difficult to change a page name more than once, so I have been hesitant to do so. Is that not the case? I can’t say for sure what they will do but I think the worse that can happen is they say no. They denied my request a few times before I did what I described above. Let me know how you make out! If I want to change a single word name to a single word name, what can I do? Because I appeal several times but still get rejected. Day 4: remove Cold Air. Thank you for this work around. I was just stumped as to what to do. My facebook page name is “Magical Messi” but i want to change it to “Barcelona Barca” and i am getting rejected evevery time i try it. Can you show me how to do it? Did you try all the steps above? Please walk me through what you have already done and what the reason for rejection was. You will need to verify that the names aren’t already taken. This really great! Thanks… I just got denied. Question, how long do you have to wait to try this after they deny you? I’ve read 7 days and I’ve read 12 hours. Your website looks great. 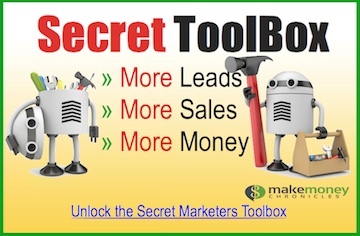 I’m going to check it out to see what you offer. We are rebranding so there is much work to do! Hi Kim – it seems to vary for time. I have had it 3 days or a few hours. I really love what you said. I thought about it but was scared of its consequences and time it will consume. My page’s name was soccertalkz then after I bought a domain, I easily changed it to soccertalkz.com and before that, I had tried to change it to soccertalkz manchester united fans but was rejected, maybe so many words added. Now i have changed the domain name to manutdtimes and I tried to change the whole page name to manutdtimes but was constantly rejected. After reading this from you, I figured out how I may get it changed. The first name of the page was ‘soccertalkz’ then maybe I will change the current name (soccertalkz.com) to ‘soccertalkz’ and after a couple of days, I will add soccertalkz “mantd’, if it gets approved. The next day or two, I will add soccertalkz times manutd and if it gets approved and will wait about three days or so then changed it to “manutd soccertalkz times’ and after the approval and will make the second-to-last change to be “manutd times” and if that gets approved, I will rest it as “manutdtimes” by removing the space between them. Thanks for this idea of yours! Hope it should be as easy as you have explained. I Should try ItisBpositive..? Or BpositiveItis or Itis Bpositive..? Did you want to have the final word to be “ItIsPositive” or “It is Positive”? 1.) “Bpositive” updated to “Bpositive It is” It is APPROVED HAPPY. Hi cynthia I like your advice. I was wondering how i could change a band page name from 95degreez to d’zorden. I got denied and I Apealed the request. But it denied the appeal. Your help be appreciated we have our first concert show announcement coming up soon and it will confuse everyone. Since we decided a name change was needed. Hi Vianey. I would start with keeping the name you have and just adding the new name for step one. Have you tried any of the steps outlined above yet? Hoping 3 steps will work. I got my handle changed in 1 step, which seems funny to me that you can easily change that and the URL but not the page name. Thank you for such great advice. I’ll comment back here again in a few days. Hello Jeff – Good luck. Hi Cynthia – Thank you so much for this tip. Today, I was finally able to do the last step. I did step 1 above on day 1. On day 2, I did step 2. Then, on day 3, I tried to do #3, but Facebook told me I had changed my name too many times and would have to wait 1 week. So, I waited until this morning (1 week), and it worked! Maybe try adding “Nurturing” to the front “Healing Sessions for mums” first application or second. Can the page be unpublished when we do this? So that every one who follows our page isn’t seeing the multiple different names changes every week to get the end result? Or will it only work if the page is published? I just sent in my appeal.. how long does it take to hear back?! Hello Vanessa – The time for approval varies from 24 hours to a few days. I don’t know about being able to unpublish while updating. Please let us know what you find out. Hello, I’m trying to change my page name from ‘Pride Wellness’ to ‘The Wellness Coach’. It got denied unfortunately. When I go to try again, the page won’t open. It says ‘the page you have requested can’t be displayed atm … ‘. That’s a good question Caerey. I think FB will probably be the best ones to help you out with that. I am so glad I found this article. I am trying to change my name from Willow Trading Company to Amy’s Vintage Market, can you help how to change it? I was rejected and tried to appeal but from what I’ve read I don’t think my appeal will go through. Hello Amy. It looks like it might take a few days but be patient. Try following these directions. I just tried this method and it worked! I wanted to change my page from Granbury Paranormal Expo to Spooky Spectacle, and of course it was turned down. I put in an appeal, but held out no hope that anyone was actually going to respond to me. I was really annoyed, everything else, from Twitter to Facebook, was able to be changed, but not the Facebook page name itself! So I found this blog and tried it. The first day I changed to Spooky Paranormal Expo, then Spooky Paranormal Spectacle, and now I just took out the Paranormal and it worked! Thank you so much for posting this trick! In my case, I do not want to completely change the name of my page. I just want to remove the last part of it, but Facebook will not allow me. Example: change “AAA BBB CCC DDD” to “AAA BBB”. Hi Robert. It is difficult to comment without knowing what you have actually done. Did you remove one word at a time? As far as I know following this procedure has been successful for people. I’ve been able to make 2 changes with 2 words over 2 days but it hasn’t allowed me to continue after that…using your procedure. Is this common? Hi Sara – How long have you waited this time? 3 days is not uncommon. It is a weekend so I wouldn’t be too concerned until Wednesday. Sometimes it makes a difference what day and what time of day you put in the request. What is the message are you getting? Your Page name can’t be changed. Sarah – have you had any luck changing your page name yet? I am getting the same message and it’s been 6 days. Did you notice a dropoff in likes or follows of the pages you changed? Hi Connor – I didn’t notice any drop. One thing you can do is pin a notice or image to the top of your page that explains the rebrand. If people are truly a good follower they won’t be annoyed. I’ve been trying different methods of this for almost a week, but all my requests are getting denied within seconds. I sent in an appeal and Facebook asked me to make a post on my page announcing the change and link it back to them which I’ve done but they’ve just asked me to do it again! It’s very infuriating as other sites have allowed me to change my name without issue. My page isn’t even big, it only has 65 likes and isn’t even labelled as a business – but a “Just for Fun” page. Did you try this procedure? If so in what order? I’ve tried both Re:Ganma_02 Robo and Crazy Ganma_02 along with just jumping the gun and throwing the whole name on there. Nothing has worked. They were all denied not even seconds after I press submit, but I was always able to try again after just over 24 hrs. Facebook does mention about excessive punctuation so perhaps I need to try waiting a bit longer and also getting rid of the punctuation completely too? Hi Phi – If you have tried everything as suggested and that didn’t work there may be other issues. I suggest trying one more with “Robo Ganma_02” and see if that is accepted. Otherwise, since you only have 65 likes it might be worth just making a new page with the new name. Great article!! I tried a similar method but am now stuck! I rebranded from Creative Boss Life to Lauren Dragon-Cook but am now stuck at Creative Lauren Dragon-Cook and getting shot down every time. I’m considering creating a second page and then merging the two unless you may be able to share any insight! How many days are you waiting? Sometimes if you wait a few days and choose a different time of day to make the request you will get different results. This is assuming you aren’t getting automatic replies. Hi Cynthia, this is great advice. This happened to me after a proposed change (removing part of name) was rejected and I appealed. Is this permanent? Or does it eventually go back to normal so you can try again? (Not having this kind of issue with any other site where I’ve had to change it, but then they have human support, FB seems to be all automated). Hello Grace, sometimes it depends on the time of day you apply for the changes. It could also be the word you are removing changes the name too much and too quickly. How does my page appear in the name change box? My page name is quiet cheesy one that started while being a teenager – “biggest mistake iznt falling 4 u, its thinkin u hv fallen 4 me” . They have rejected my request and I’ve appealed them. I’m quiet unsure if the appeal works.